AAA Game Release Dates No Longer Restricted By Seasons | Nerd Much? In an interview with German site Golem, president and CEO of Sony Interactive Entertainment America Shawn Layden revealed the recent change in release dates for the company’s AAA titles. You may or may not have noticed that lately, Sony’s AAA titles have not been launched in the holiday season where they would presumably make more money. Instead we have titles like The Last of Us coming in June, or Horizon: Zero Dawn in February. As Layden explains, these games were still phenomenally successful. Normally, the logic is that “by the end of the year, people simply have more money,” but that isn’t the case anymore, as shown by the release of the games mentioned. 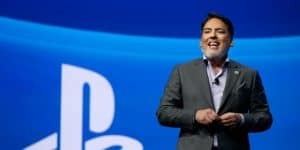 Layden says that now Sony can release games at anytime during the year without much fear, unless someone else releases a top game too. Indeed this way, we’ve been getting AAA games almost every month and they aren’t all piled onto December. It gives the consumer time to play the game and enjoy it before moving onto the next. If you might recall, this would help avoid problems like Horizon: Zero Dawn coming out and then not long after, The Legend of Zelda: Breath of the Wild, if they were both made by the game company. Any gamer that was a fan of both games had to drop Horizon half way through and eventually forgot about it until their second play through of Breath of the Wild. Again, however, this only happened because the games were made by completely different companies.